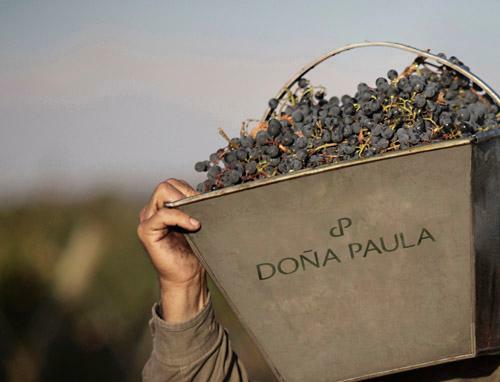 Doña Paula transmits with its wines the most truthful expression of each terroir defined by the weather and soil characteristics of region. Respect and knowledge of the place of origin of our grapes are the premises that guide the elaboration of our wines. James Suckling 90 "A fresh and leaner style with black currants and blueberries. Full-bodied, minerally and crisp. A blend of malbec, cabernet sauvignon and petit verdot. " James Suckling 90 "A fresh and leaner style with black currants and blueberries. Full-bodied, minerally and crisp. A blend of malbec, cabernet sauvignon and petit verdot. Drink now." James Suckling 94"A beautiful red here with light chocolate, berry and nutmeg character. Full body, with ultra-fine tannins and a long, long finish. All here. A blend of malbec, cabernet sauvignon, and petit verdot. Drink now."